Micro Computer Machines of Canada introduces their MCM/70 microcomputer at a programmer’s user conference in Toronto. 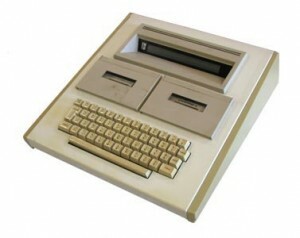 Possibly the earliest commercially manufactured device that can now be considered a personal computer, the MCM/70 gained customers at companies such as Chevron, Mutual Life Insurance, NASA, and the US Army. The company worked closely with Intel on the design of their computer and made very early use of the Intel 8008 processor, of which the basic design was used for the future Intel 8086. However, failing to generate venture capital in the Canadian marketplace, the MCM/70 never gained significant market acceptance and by the time the Apple II and other early personal computers were being released, the MCM/70 was relegated to a footnote in history.